Choosing a full time agent is an obvious choice. Real Estate is not a part time job. It can’t be. It requires too many hours of diligent work to do all the things necessary to effectively represent a client and successfully close a real estate transaction. Yet many agents in today’s economy have been forced to take other jobs, and cut back on their real estate work. Not so with The Tomlinson Group. 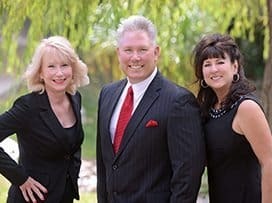 We are a full time REALTOR Team. Over the last 27 years, we have closed over 2,100 transactions. Compare our experience, knowledge, and ability to get the job done with someone who’s sold real estate for two years and has closed 8 transactions total. It becomes obvious why having The Tomlinson Group in your corner is an absolute must whenever looking for the best negotiators, the best communicators, the best advisors, and the best confidants.